Some people would suggest that the Aksi S2000 is a rack mounted version of the S20, but this is far from being the case. Its more like a stripped down version of the MPC2000XL without the pads or sequencer, or even a somewhat crippled S3000XL, as it uses exactly the same motherboard (see SCSI mod below) and can be expanded with exactly the same FX board etc. 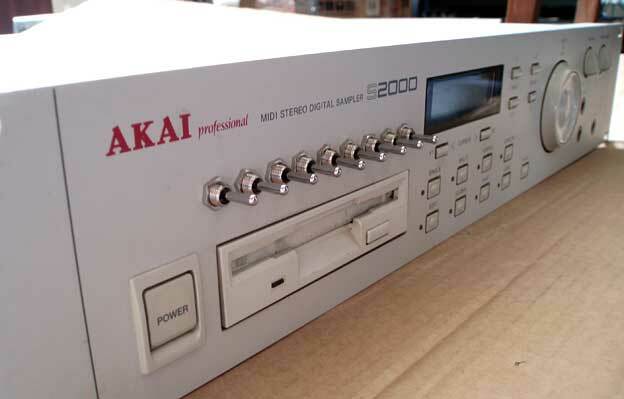 Whatever it is, it was Akai's last 'entry level' rack sampler, and for some reason was a complete departure for the Akai design department. You'd be forgiven for thinking that this thing was designed by a completely different company. It doesn't have the bells and whistles of its cousin the S3000XL, but one positive result of not having a big graphical editing screen is that 99% of S2000 screens actually still work, unlike the S3000XL! There are still plenty of these machines still in service in studios all over the world due to the near indestructible build quality and that fact they just work, and carry on working. The mod consists of 9 x 3 way switches to create an 18 way BEND BUS switching matrix that grinds, chops, distorts, bit crushes and splices the samples in memory in all manner of extreme and unlikely ways. More information on the switching matrix setup can be found HERE. Theres no space anywhere behind the front panel other than just above the floppy drive so the switch positioning was dictated by where it could possibly fit. 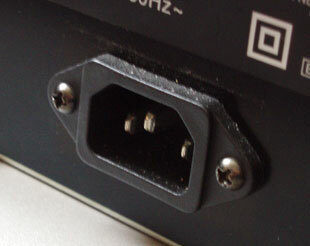 The switches can be activated at any time and in any playback mode to effect the samples. With more than one sample in memory the sounds tend to react differently depending on how much RAM is used and the numbering of samples, often splicing or chopping two samples together or, in the case of stereo samples, effecting each side of the sample differently. The switches can also be activated while sampling for different effects. The only drawback to these mods is that the switches can be somewhat permanently destructive to the audio if you're not careful with them, Often the samples will return to normal when no switches are activated, but using the switches in certain combinations tends to slowly degrade the samples in memory and you change switch settings, until eventually everything has descended into a crushing wall of noise. This isn't really a problem if you are using the machine as a kind of standalone sample grinding tool as the fact that it has SCSI means that you can quickly load sounds back in off a Hard Drive or Zip Drive, or even transfer them from you computer based sample editing software. To hear the kinds of sounds that these mods produce, take a listen to the demos below. The first demo is a stereo vocal sample processed using the switches. The second is a single break loop and the third is a loop built from several samples layered together. There is no external processing on these demos. Mysteriously the standard S2000 doesn't have internal SCSI, but it does have an empty space on the motherboard for the SCSI connector and power. As you can see from the photo below, this space is marked 'S3000XL only'! 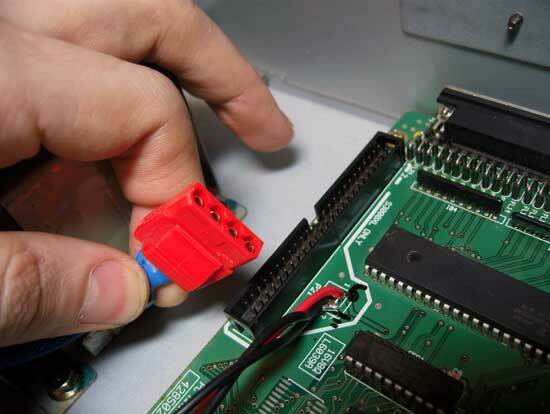 This mod adds an internal SCSI connector and a molex power plug to this space which allows you to either remove the internal floppy drive and replace it with an internal SCSI zip drive, or add an internal hard drive. Word has it that S2000 will only format a hard drive to 524MB, but thats plenty of space to save a sample bank to reload it if the switch mods degrade the samples in RAM. Unlike every other Akai ever made, S2000's have a built in mains cable which can be incredibly annoying as its inevitably going to be the wrong length. 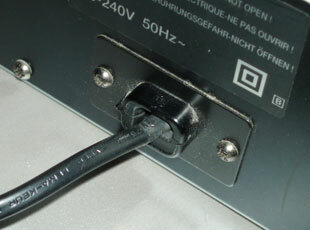 This mod removes this cable and replaces it with a standard IEC 'kettle lead' mains socket. If you want your S2000 modded get in touch using the CONTACT form.